Does Updating A Post Affect Page Rank? I made a post a few months ago about the Semalt spam crawler. Which thankfully worked and has removed the spam from my Google Analytics data. Since the original post hundreds of other posts have appeared on the topic. 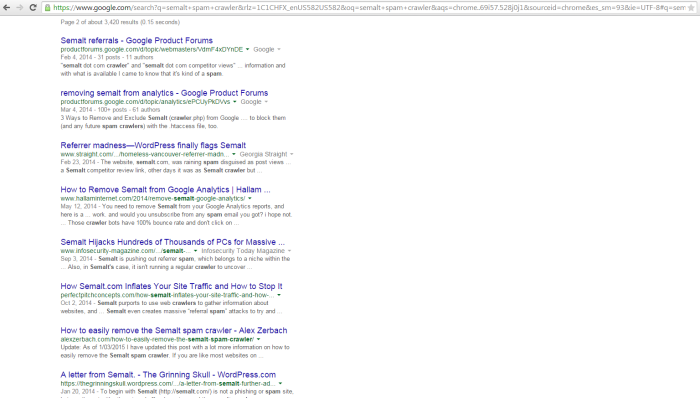 When I originally decided to write the article I did some research and found it was a fairly new spam crawler and the search results were not dominated with competitive blogs posting about Semalt. That has since changed. I have gone back and revisited the blog post to update it with more information and details. I have also increased my page speed using Google’s page speed insights tool. If you want to speed up your WordPress site and rank better I wrote a how to guide. I am curious if my ranking has gone up. It should not budge much as a result of site speed. Here is why, when Google announced site speed would be a ranking factor is suggested less than 1% of queries would be affected. So although a faster site is calculated by Google it is more from a user experience stand point. Google wants users to be able to quickly download a website’s page and navigate through it quickly. So I improved this sites speed and am now going to see what happens. 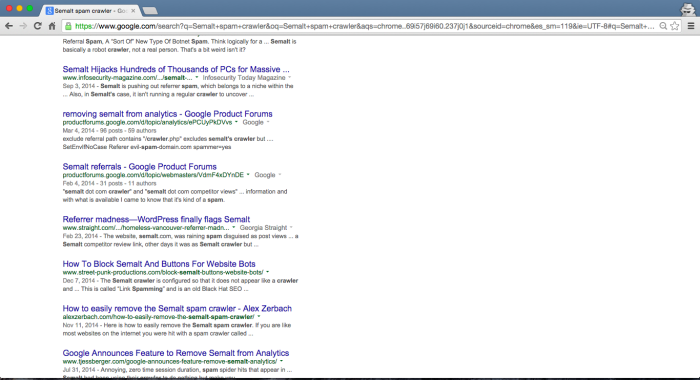 What would really help boost the Semalt post is to have some credible backlinks. In order to do that I can reach out to other sites that I mention and ask them to link back. However, I won’t do that because I need a post to be outstanding before I put my neck on the line. So let me use this post as test and show my current ranking for a few select keywords and I will revisit this post in a few weeks to see if it has changed. There are many other factors that may be helping or hurting my rank. For example, I am working out some sitemap errors, I need to clean up some 404 errors, and generally make this site more trustworthy to Google. Word to the wise, when looking where you are in the SERPs there are many free and paid tools that you can use to see things easier and at a high level. I tend to always find myself using a search engine guess and check method just because I like to see what other blogs are around mine in the rankings. I will detail and review some free tools for checking SEO rankings later. But for now, make sure when you check your results you use an incognito window or a clear browser so you are not being influenced by previously viewing your own page. 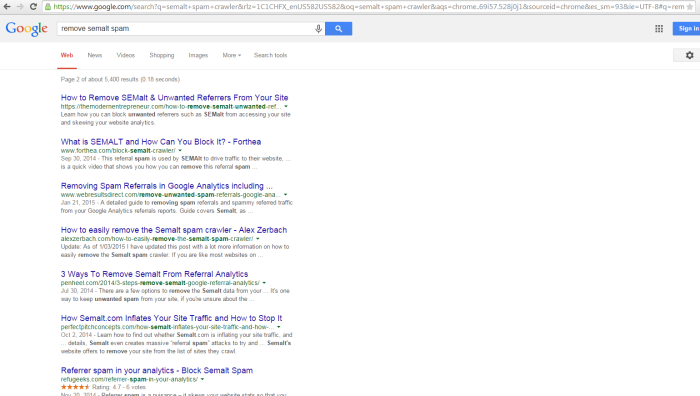 Pay careful attention if you are logged into Google as that can skew your results. Overall, not bad. I jumped a few spots but the reason for that could be a variety of things. This is not scientific enough to make a correlation but my hunch is that affecting my site speed, did little to help me rank better for these keywords. 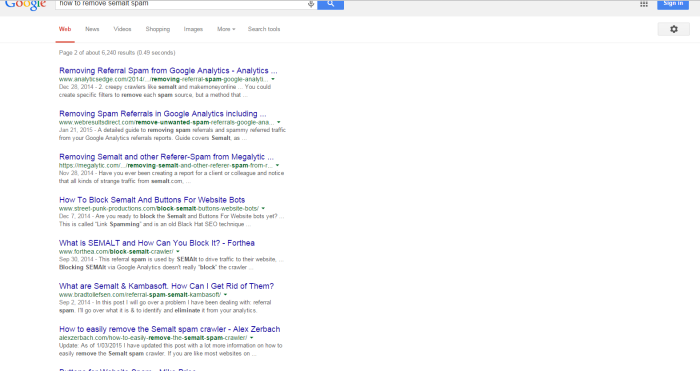 So with that, we are forced to look other places for a way to better optimize keywords and drive more traffic.